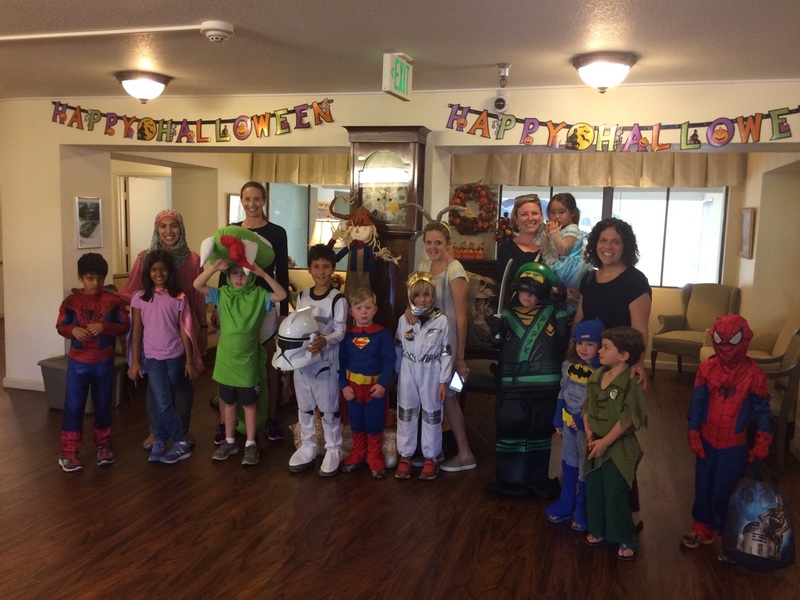 The Orinda Juniors came together with all of their costumed kiddos and decorated pumpkins to bring a bit of Halloween spirit to the residents at the Orinda Village Senior Center. Special thanks to Brigitte Meagher for corralling the little kids and making sure they got those pumpkins out. The kids were adorable, and the residents were lovely. We had all the superheroes represented, along with StormTroopers, GameBoys, ninjas, Steph Curry a few butterflies, the best snail costume ever and many more. The pumpkin centerpieces stood the test of time (storage), and the kids loved the cookies and M&Ms. Thanks also to our new members who attended along with their adorable kiddos. The Senior Village really was appreciative of the effort, and their Friday night dinner was off to a great start as we filed out.